So why should you cruise to the southern Bahamas? Our family–Jim (old), Cuqui (?? ), Nico (18), Andy (16), and our dog, Flecha (19 lbs. 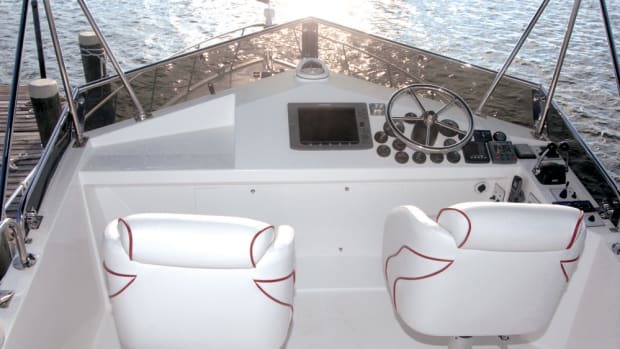 )—decided to find out on a six-week summer cruise aboard Thing 1 Thing 2, our 34-foot PDQ powercat. 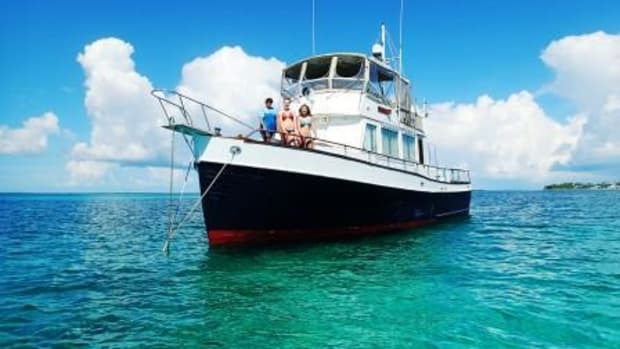 The answer: the friendly, welcoming people, beautiful deserted beaches, crystal clear water, and absence of other cruisers in the least traveled, most remote part of The Bahamas. The “southern Bahamas” is more a concept than a strict geographical designation–many of the islands generally considered part of the region are actually located in what is, geographically speaking, the central Bahamas. 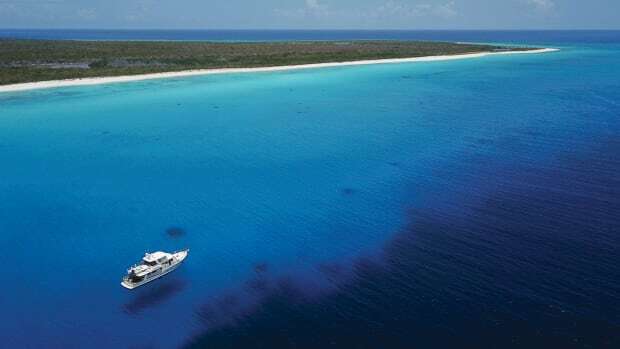 These islands—the Ragged Islands, Long Island, Crooked Island, Acklins, Conception, Cat Island, Mayaguana, Rum Cay, San Salvador, Little Inagua, Great Inagua, and others—have names that are often unknown to all but the most seasoned Bahamian cruisers. Historically these islands have depended on farming and salt production rather than fishing and tourism. The only water entrance into Lake Victoria, at the town center in George Town, Exumas. Dinghy docks are located inside Lake Victoria. George Town, a common first stop on any cruise to or through the southern Bahamas, is a study in contrasts. On the one hand, it is a port frequented by cruisers. The capital of The Exumas, George Town is also the most populous settlement in the island chain with a population of about 1,500. 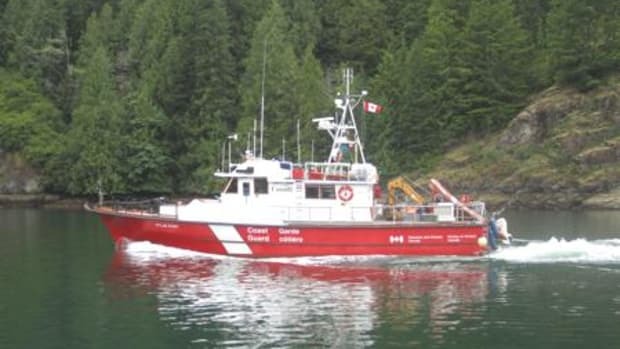 Yet, there is not a single operating marina or marine fueling facility—fuel and drinking water must be jerry-jugged to the boat from the town’s only fuel station. There is a dearth of marine mechanics and repair facilities, and not a single operating haul-out facility. There is a large (by Bahamian standards) grocery store, several liquor stores, a few restaurants, small hotels, and a marine hardware store that resembles a thrift shop that doubles as a gift shop. The harbor is large—about five miles long and one mile wide. 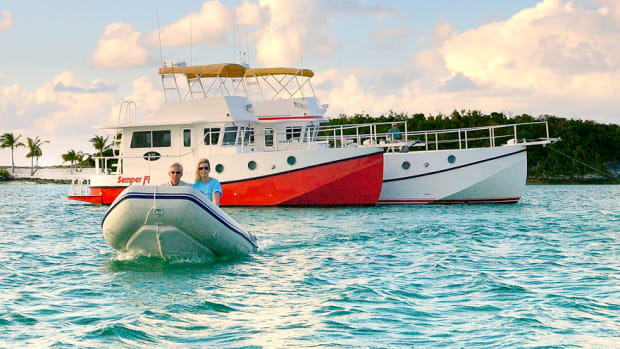 Most cruisers anchor across from the “mainland,” as Great Exuma is known, in the lee of either Stocking Island or Elizabeth Island. The George Town town center is based around “Lake Victoria,” a fully enclosed lake with a narrow cut to allow dinghy access under a low bridge. Visiting cruisers may tie their tenders at the dinghy dock behind the grocery store or the dinghy dock behind the gas station. 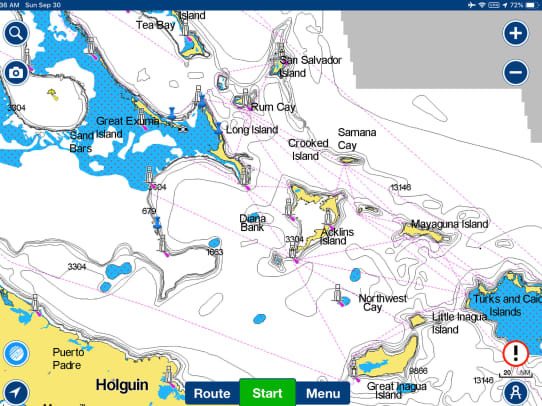 From George Town, the two most logical next stops are the Ragged Islands to the south or Long Island to the east. The half-moon-shaped Ragged Island chain is approximately 90 miles long. Apart from Duncan Town at the most remote end of the island chain, the area is largely uninhabited, so cruisers need to be self-sufficient. But it’s worth the extra preparation and provisioning. 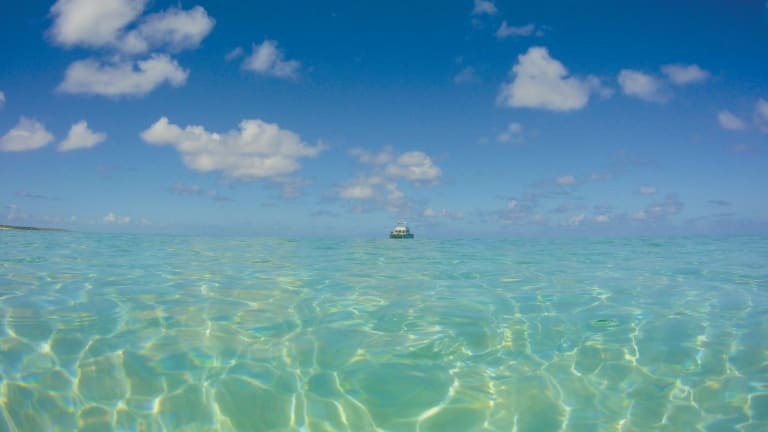 These islands boast clear water, miles of deserted, white sandy beaches, and relatively virgin fishing grounds. One of many abandoned homes on Long Island. Long Island is indeed long, stretching more than 70 nautical miles. The western shore is dotted with small but distinctive settlements. 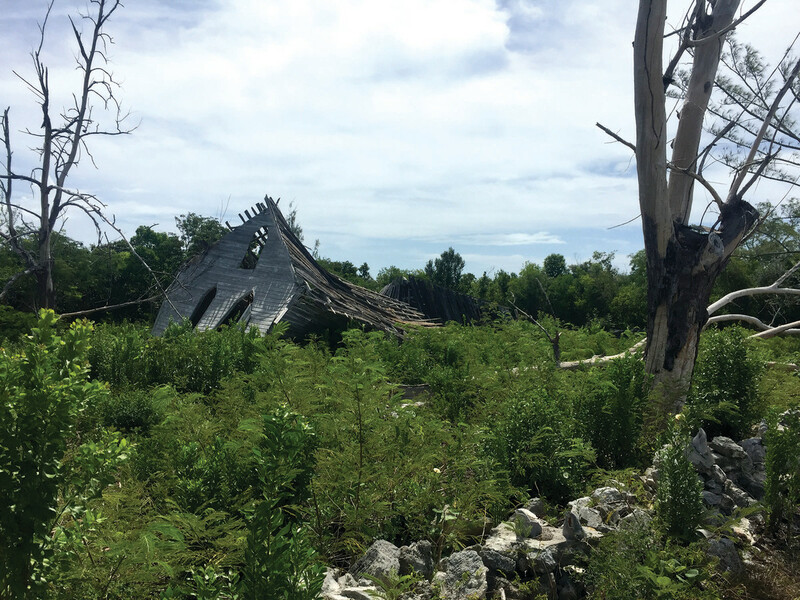 Like much of this part of The Bahamas, Long Island has historically been dependent on farming. Because much of the farmland on Long Island was inundated with salt water during a series of recent storms, most recently Hurricane Joaquin in 2015, a large portion of the working-age population has since left the island in search of work, leaving abandoned homes and businesses. 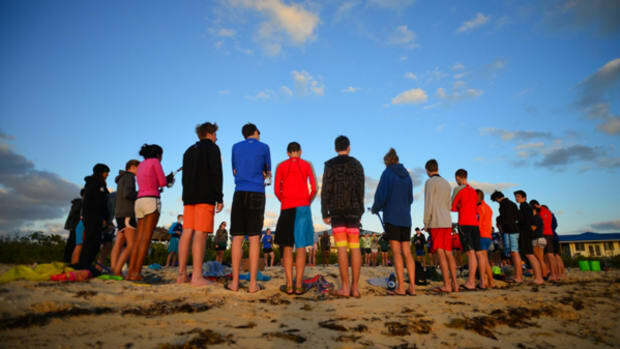 For this reason, it is important to take care in relying on any cruising guide written before 2015. Long Island is, however, still an enchanting island that is well worth a visit. At the north end of Long Island is Cape Santa Maria, which boasts one of the most beautiful white beaches I have ever seen—it goes on for more than a mile and is home to a small resort with a restaurant and bar. 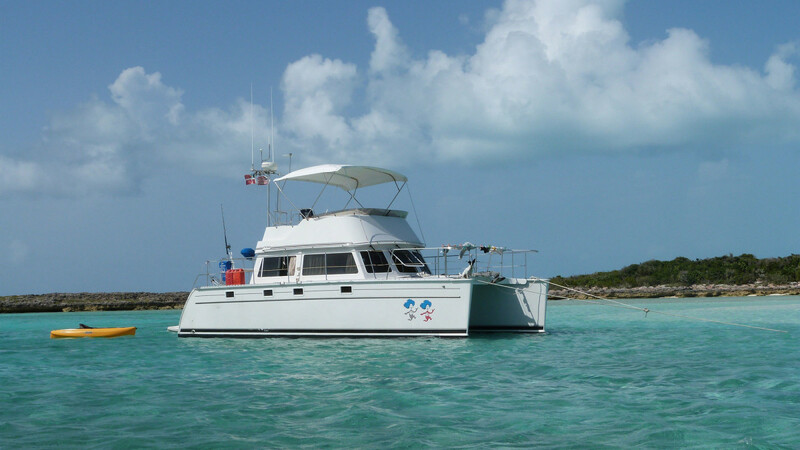 The water is crystal clear and deep enough that you can anchor in protected waters within yards of the beach. Thing 1 Thing 2, a 34&apos; PDQ power cat, at anchor. After several days at Cape Santa Maria, we headed south to Salt Pond, a small settlement with a fairly protected harbor about midway through the island. We set our anchor and took the dinghy to shore, where we found a small but well-stocked food market with fresh fruits and vegetables, a fuel station with a fuel dock but no drinking water, and a Bahamas Tourist Association office run by a friendly, knowledgeable, and barefoot woman named Stephanie. Because of the shoals and other obstacles preventing marine travel in a straight line on the western shore of Long Island, we concluded it was more practical to see the island by land. 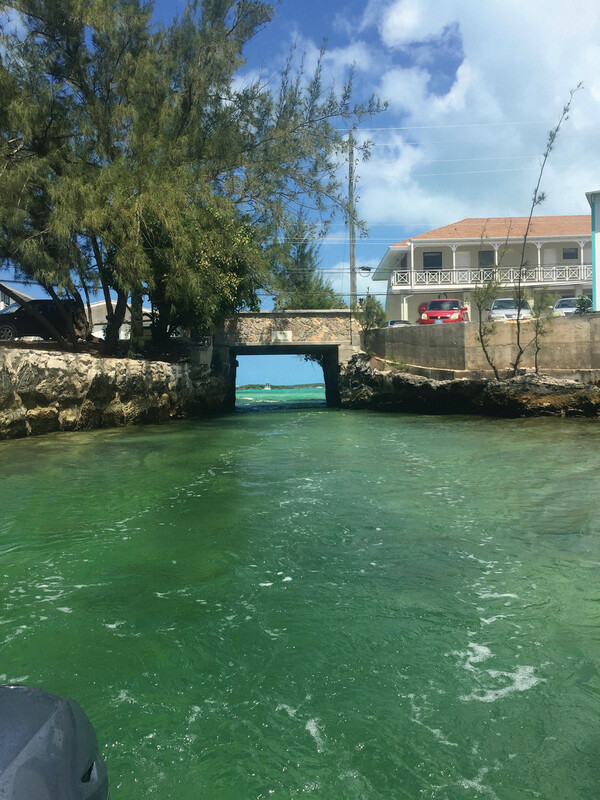 With help from Stephanie, we located the local car rental office–actually a woman’s home, with a few extra cars that she rents out, located just a short dinghy ride from our anchorage. There, we rented a small car with an odometer showing more than 165,000 miles. The experience was somewhat different than the typical rental car agency as we were not asked for a driver license or other identification nor for a credit card or any other form of deposit. In fact, she didn’t even ask when we planned to return the car. But the well-worn car ran without a problem. A road map was not necessary as Long Island has a single main road, Queen’s Highway, that runs the length of the island. But what the island lacks in roads it makes up for in sheer volume of churches. On our drive from Salt Pond to Clarence Town, a large settlement with a scenic protected harbor on Long Island’s eastern shore, we counted more churches than cars and people combined! The epicenter of Long Island is Deadman’s Cay, which includes many of the government offices as well as a few restaurants, a gas station, and the primary airport on the island. Max’s Conch House, a fun tiki-style restaurant and bar, appears to also be the social center of the island, both among locals and visitors. Preparing to jump into the deep waters of Dean’s Blue Hole, located between Deadman’s Cay and Clarence Town, Long Island. The absolute highlight of our Long Island road trip, though, was Dean’s Blue Hole. Located just south of Deadman’s Cay, and easily accessible down a dirt road, this inland sinkhole was filled with beautiful blue water as clear as any body of water I have ever seen. At 662 feet deep, it is purportedly the deepest blue hole in the world, and we were fortunate to be the only visitors that morning. We took advantage of the solitude by swimming, seeing who could dive down the deepest (no one touched the bottom, that’s for sure), jumping off the surrounding cliffs into the clear blue water, and generally exploring the area. Flecha kayaking herself to one of the many deserted beaches in the southern Bahamas. From Long Island, we made the trip east to Conception Island (shown as Concepcion on some charts). Conception Island, one of our favorite stopovers in the southern Bahamas, is a land-based national park that has been expanded to include the waters immediately surrounding the island as well. It is a small, remote island with no human presence, not even from park rangers. During our two-day stay on Conception, we did not encounter another person or boat. The preferred anchorage, West Bay, is protected from all but west-moving seas. The island features two beautiful white-sand beaches, one of which is about a mile long. A small “climbing wall” can be scaled with the help of a rope already secured from the top. The surrounding reefs are teeming with fish and lobster probably due, at least in part, to the “no-take” policy. 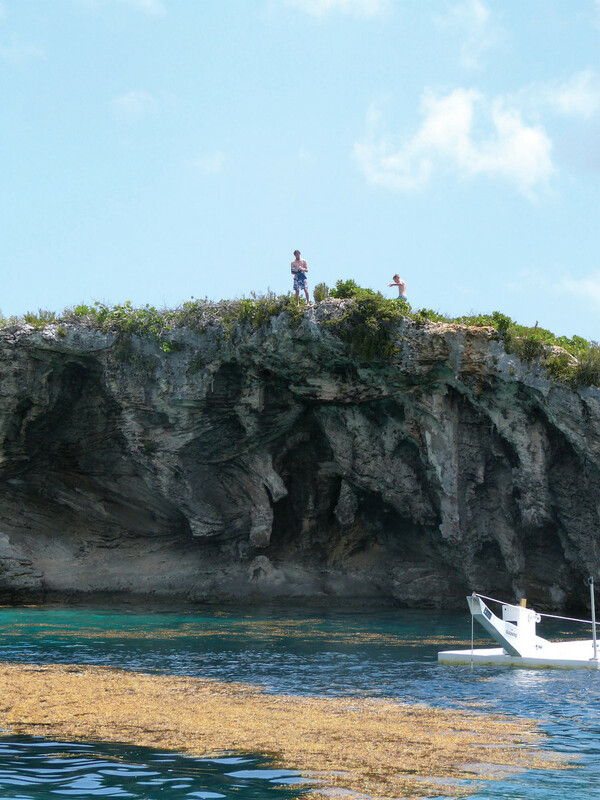 Like many of the islands in this part of the Bahamas, Cat Island is long and narrow. Our two favorite stops on the island, though, were just a few miles apart. The first, Fernandez Bay, is a beautiful and protected bay about 15 miles north of the southern tip of the island. The bay features a white sandy beach with a small resort and scattered homes, as well as an abundance of rocks good for snorkeling and fishing. About three miles south of Fernandez Bay is the town of New Bight. 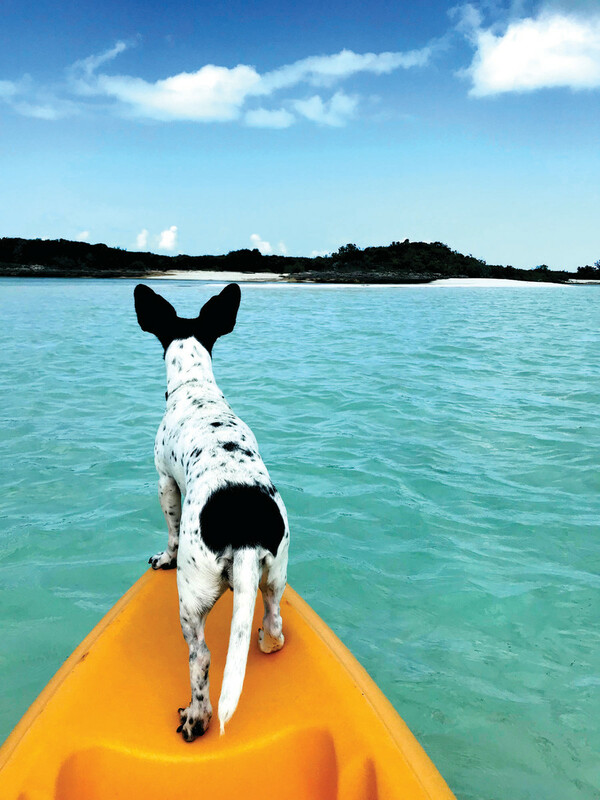 Host of the annual Cat Island Regatta that draws sloops from all over The Bahamas, New Bight is unlike any other town we encountered in The Bahamas. 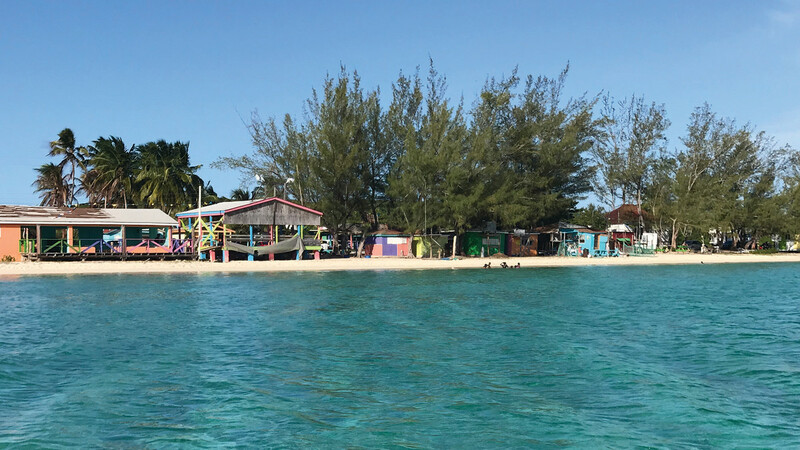 The settlement consists of a small unpaved street with brightly colored food stalls on both sides of the road, reggae music blaring from the speakers, kids swimming on the beach, and plenty of locals milling about. We strongly recommend visiting Duke’s Conch House for a conch salad and Gooly Wash, a concoction made of coconut water, rum, gin, nutmeg, and other spices. The settlement of New Bight on Cat Island. The southern Bahamas’ distance from the rest of the world is one of the things that brought us there. It is also what forced us to leave before seeing the remainder of the islands. We knew we would have to cruise across Eleuthera, through the northern Exumas, past Nassau and the rest of New Providence, above Andros, past Bimini, and across the Gulf Stream to get to our home port of Key Biscayne, Florida, so the kids could be readied for school and parents could return to their jobs and other obligations. We plan to return to the southern Bahamas one day—maybe as part of a longer cruise through the Caribbean; if only to see what we missed on our first trip.